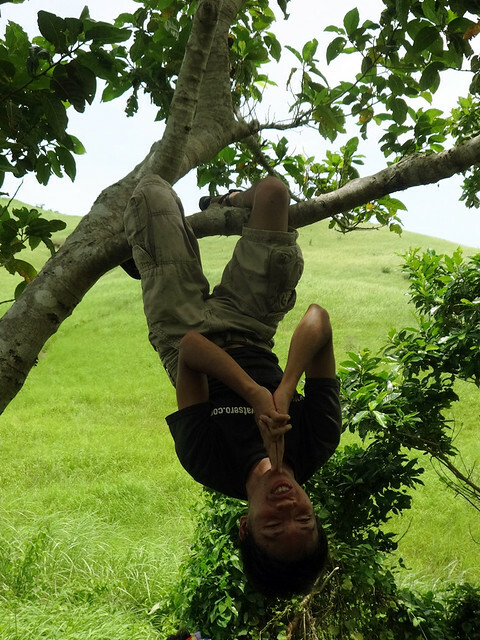 The itch of returning to Isla Talim and climb its grassy peak came bugging me again. There's no particular reason why I wanted to climb again Mt. Tagapo, namiss ko lang talaga siya bigla. But unlike before, which was a solo hike, I wanted to bring a gang with me this time. As we're cruising our way to Brgy. Janosa, with the lake so calm, and the sky so blue, I'm pretty sure, another great hike at Mt. Tagapo is looming. Mt. Tagapo as seen from the boat bound for Brgy. Janosa. 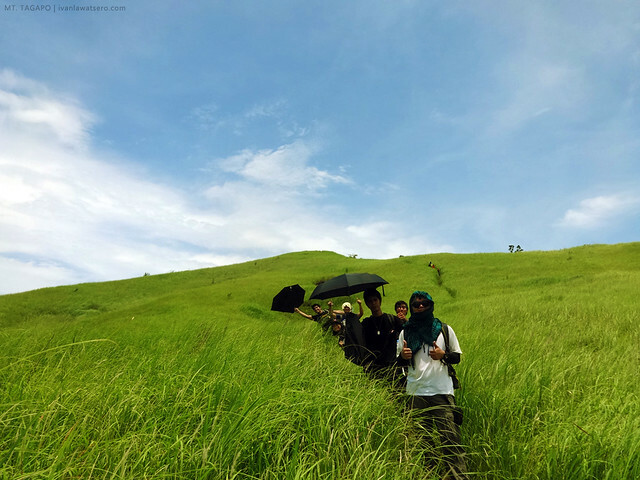 Traveling to Talim Island is the primary reason why hiking up Mt. Tagapo is a personal favorite. 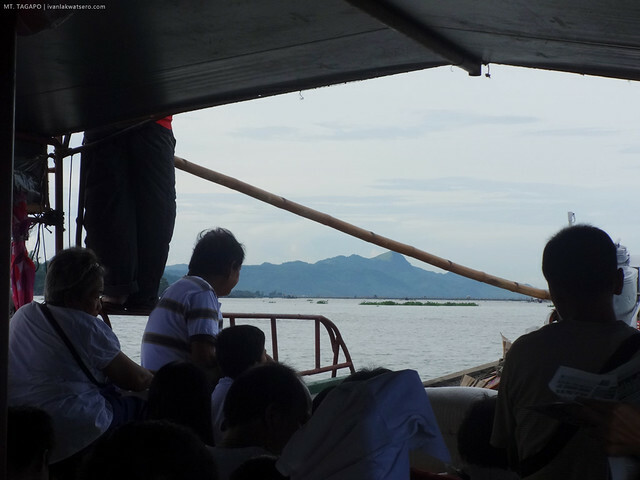 The boat ride from Binangonan to Brgy. 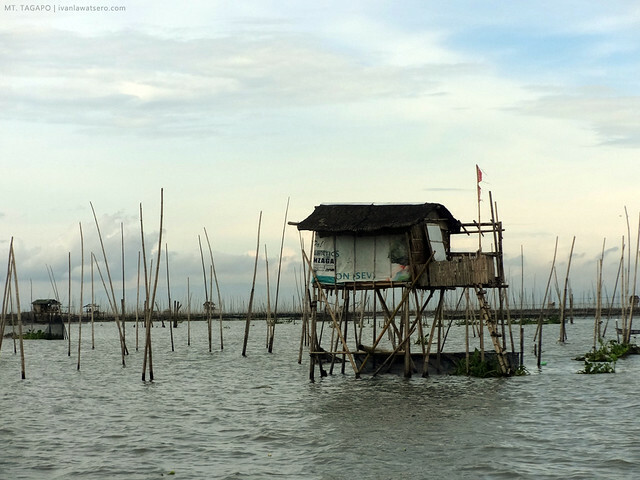 Janosa, which takes approximately an hour, is simply rural and scenic, fish pens, local boatmen, as well as big white birds display marvelously. Even the peaks of the nearby Mt. 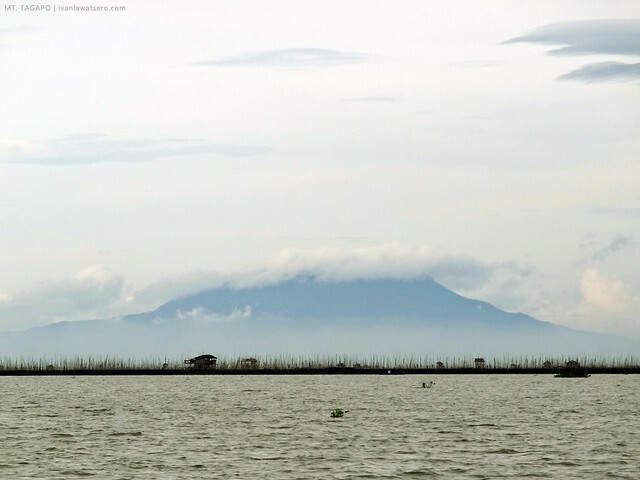 Makiling would say hi during the boat ride. a display of numerous fish pen, the primary source of living in the area. It was around 9 in the morning when we arrived at Brgy. Janosa. We went straight to the barangay hall, registered and paid the required fees. I opted not to get a guide since I will be the group's guide in this hike, and the trail is easy to follow anyway. It was over a year that I took the same adventure, but memories from that solo hike kept flashing back in my head, so fresh as if it just happened yesterday. Hiking up Mt. Tagapo, depending on the group's pace, should take only 2 hours or less from Brgy. Janosa to the grassy summit. 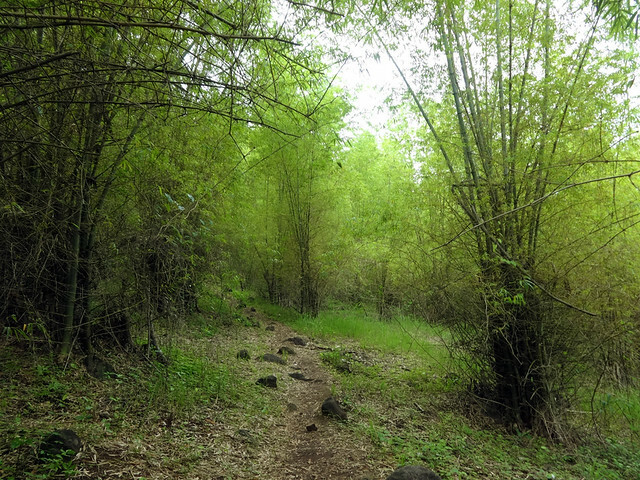 The trail is easy and runs mostly on flat terrain with bamboo forest. But the humid atmosphere may give you the challenge you are looking for. As we're ascending our way to the grassy top of Mt. 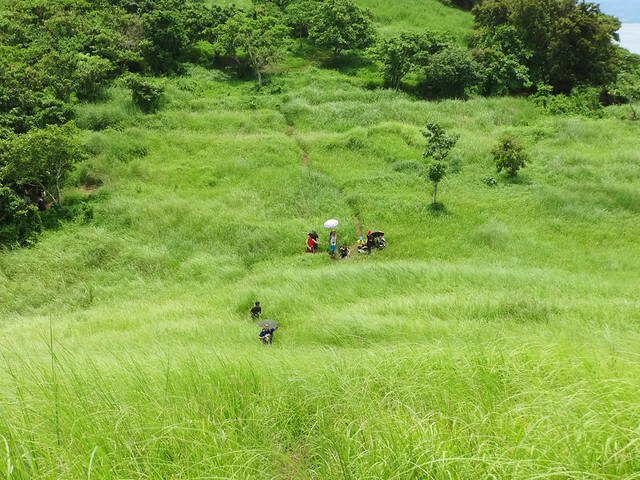 Tagapo along a typical Tagalog woodland, intense heat brought by the humid air was felt by all. And it's very evident in everyone's face. Nanglilimahid na sa init. We constantly had breaks probably every after 20 minutes. You lose if run short of water, as there's no reliable water source in the area. 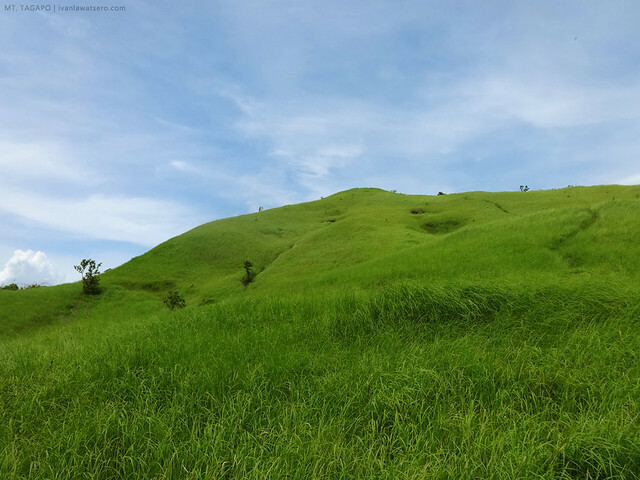 It was after an hour or so that we finally reached the familiar grassland of the mountain. Obviously, the treeless summit of Mt. Tagapo is a great adversity. Sobrang init talaga! 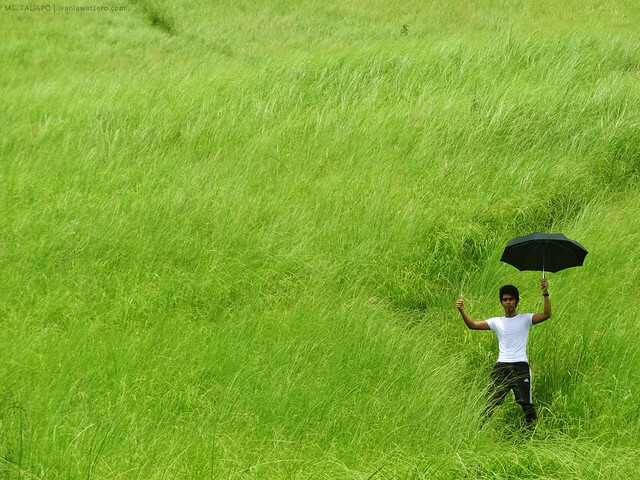 And those who have umbrella with them certainly were smiling. It took a few minutes from the base of the grassland up to the highest peak. Should've been just an easy ascent if the sun wasn't shining bright that day. At 11:25 before noon, we reached the top. 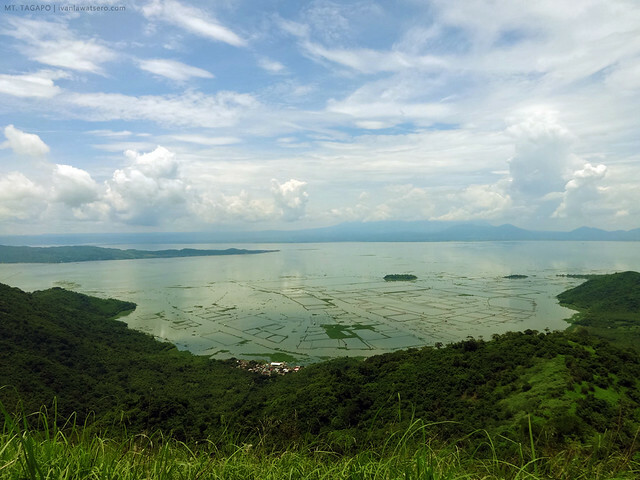 There we saw a full 360 view of Laguna lake, with, of course, the nearby mountains such us Makiling, Malipunyo (SW), Banahaw, Kalisungan (S), and Sembrano (E). Faint buildings of Metro Manila were also visible. To prevent getting roasted, we left the summit shortly after getting a good rest and photo ops. We ran the grassy slope back to the base towards the little campsite under the shade of trees. A campsite hidden under the trees served as our temporary shelter. We needed to rest or else we get dehydrated and end up like a tuyo. So for the meantime, while others were having lunch, we played around. Most of us climbed a tree for great photo opportunities (so cool), but in exchange, we were bitten by ants (not cool). 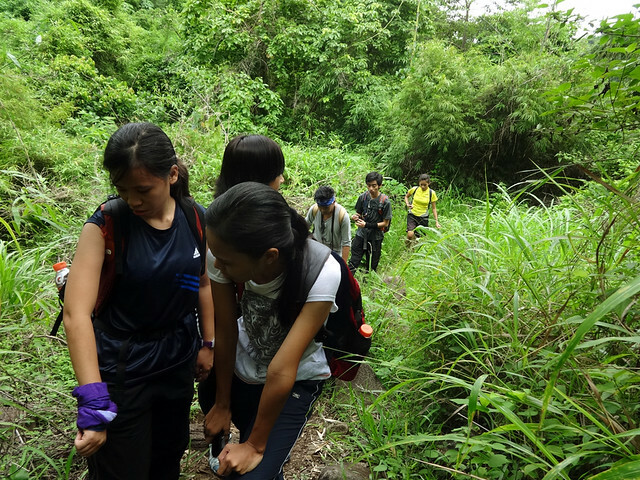 By 12:45 PM, we began the quick descent back to Brgy. Janosa, still hot and dehydrating, and not more than an hour and half, we're already back at the jump-off, just right in time to catch the next trip back to Binangonan. Another fun hiking experience! woohoo. Thanks to all who joined me in this hike. That's a big hiking group! Merry Christmas! yeah. my largest so far. yun din ang tanong co.. Required ba ang guide?? And yung bayad po namin sa bangka is 30 to 25 pesos per head and sa Guide 300 pesos :)) Hope this would be some Help. Hi! I've just recently climbed Mt. 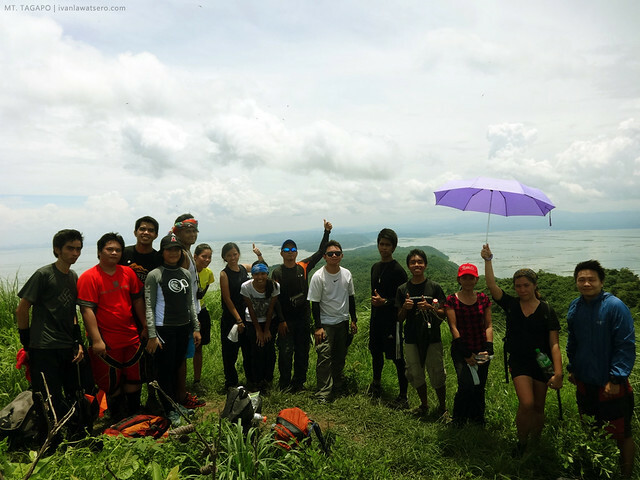 Tagapo (5/12/14) and would like to share my experience. Hope this would be of some help. Thank you! More power to this site, sir Ivan!